Does Yoga for High Cholesterol Work? Doctors don't routinely recommend yoga for high-cholesterol treatment—but someday they may. Studies have shown that practicing yoga can have many health benefits, such as aiding in the management of insomnia, anxiety, high blood pressure, high blood sugar, and osteoarthritis. Recently, some clinical studies have suggested that yoga can also help reduce your levels of cholesterol (and another blood fat, triglycerides). Yoga is an ancient mind-body discipline that originated in Central Asia. A combination of breathing exercises, various body postures, and meditation (taking time for quiet thought), yoga has been used for centuries in Eastern medicine to treat a variety of medical conditions. There are many forms of yoga, ranging from meditative exercises to stretching. Presently, yoga is most commonly used as a form of meditation and low-impact exercise. Does Yoga Affect Cholesterol Levels? Only a handful of clinical studies have evaluated the effectiveness of practicing yoga on lipid (blood fat) levels, but the results appear to be promising. In some study participants, total cholesterol levels were reduced by up to 30%. Levels of low-density lipoproteins (LDLs), or "bad" cholesterol, were lowered between 14% and 35% in these studies. On the other hand, the effectiveness of yoga on raising levels of high-density lipoproteins (HDLs), or "good" cholesterol," as well as triglycerides, appears to vary. In some studies, triglyceride levels were lowered by up to 11% and HDL levels were increased by up to 12%. But in other studies, yoga did not appear to affect participants' HDL and triglyceride levels. The length of these studies varied widely, between two months and five years, as did the types of yoga the study participants practiced. These included Sudarshan Kriya, which incorporates rhythmic breathing exercises, and Hatha Yoga, which emphasizes gentle stretching and meditation. The time spent doing these exercises ranged from 30 minutes to three hours, up to three times a week. Yoga is effective in stress reduction. Reducing stress may help you reduce risk factors for heart disease, including high cholesterol. In some of the studies, performing yoga for high cholesterol also caused a modest reduction in weight. Losing weight can lower blood-fat levels, so the weight loss in study participants practicing yoga may have lowered their cholesterol and triglyceride levels as well. First, consider whether yoga is a healthy exercise for you. 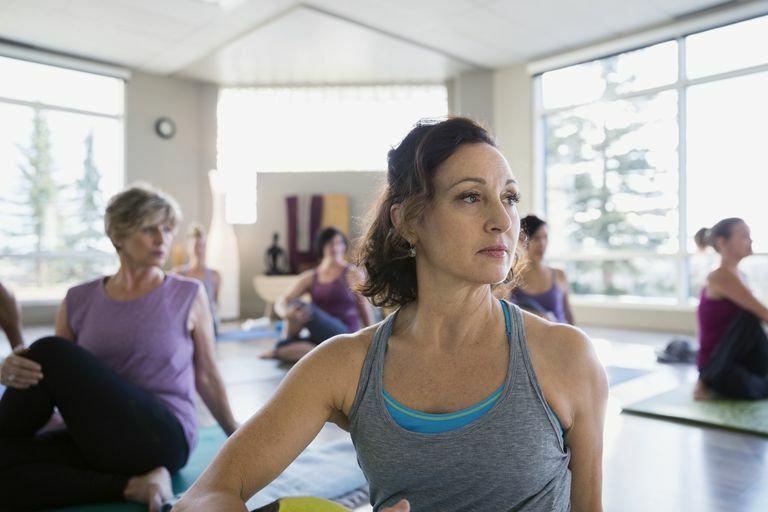 Yoga is considered a form of low-impact exercise, but it's still best to check with your doctor before incorporating it into your cholesterol-lowering plan. This is particularly important if you have a health condition that may limit your mobility or if you haven’t been exercising regularly. Bottom line: Despite the limited number of studies that have been conducted, yoga for high cholesterol looks promising. In fact, yoga may help in controlling other diseases and conditions as well. Any form of movement counts when it comes to controlling your cholesterol, so if it's appropriate for you, yoga can be an effective part of your exercise regimen. Additionally, Ann Pizer, an expert on yoga, offers a wide variety of resources that demonstrate proper yoga technique and the ways yoga can improve your health. Sayyed A, Patil J, Chavan V, et al. Study of lipid profile and pulmonary functions in subjects participated in Sudarshan Kriya yoga. Al Ameen J Med Sci 2010; 3:42-49. Vyas R, Raval KV, and Dikshit N. Effect of Raja yoga meditation on the lipid profile of post-menopausal women. Indian J Physiol Pharmacol 2008;52:420-424. Gokal R, Shillito L, Maharaj SR. Positive impact of yoga and Pranayam on obesity, hypertension, blood sugar, and cholesterol: a pilot assessment. J Alt Comp Med 2007;13:1056-1057. Yang K. A review of yoga programs for four leading risk factors of chronic disease. eCAM 2007;4:487-491. Mamtani R, Mamtani R. Ayurveda and yoga in cardiovascular disease. Cardiology in Review 2005;13:155-162.